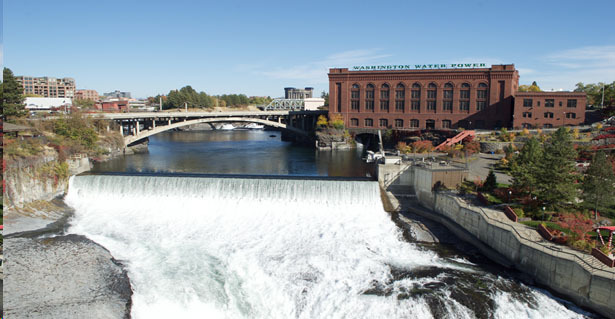 The Spokane River is an iconic component of the city. Running right through the center of downtown, culminating in a dramatic set of falls, the river is a part of what makes Spokane special. We are lucky on Gonzaga’s campus to be able to interact with the river daily, however, not all residents of Spokane are this fortunate. Many low-income and marginalized communities lack access to and connection with the river, making it more of an inconvenience or an easily ignored resource. The Gonzaga Environmental Studies senior class seeks to provide ways for all members of the Spokane community to engage with the river and the natural beauty surrounding the Spokane area. Students envision a new and revitalized Spokane, one that boasts healthy habitat for wildlife, recreation opportunities for adventurers, education and playtime for local students, and full of stunning natural resources for the people who call it home. •	The Zone Project - Providing summer programming for underserved students in Northeast Spokane, focusing on building connections to the river and to the natural environment. •	Interpretive Signage for Lake Arthur - Connecting community members and students to the history and ecology of Lake Arthur via signs and a walking trail. •	Gardens for Growth - Tackling food insecurity at local elementary schools while creating youth educational gardening opportunities. •	Spokane River Walk - Publishing a physical and online interactive walking guide that provides community members with options to safely interact with the river. •	Spokane River Habitat Management Planning – Researching habitat management plans in order to establish a standard for new developments and the duties they are expected to uphold in terms of protecting the river throughout construction and development progress. •	Friends of Fish – Engaging in a dialogue on restoring salmon populations on the Spokane River, along with the cultural and economic advantages and disadvantages to reintroduction. •	Spokane River for All – An environmental justice study that includes collecting data on neighborhoods without access to the river and addressing homeless camps, resulting in a more equitable response to environmental inequalities to be considered in the Spokane River Vision Plan.